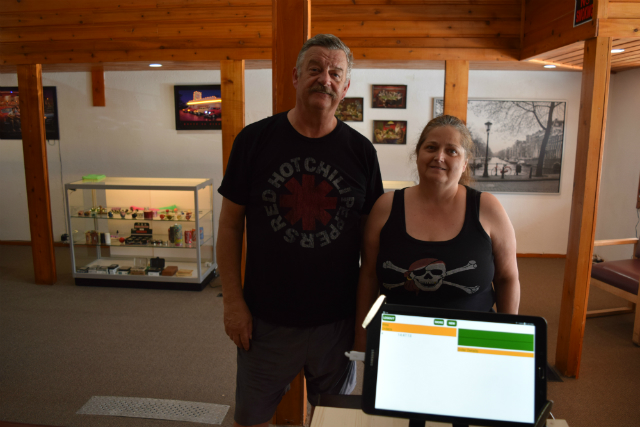 Wes and Debbie Wiebe opened a shop for alternative smokers called Papa's Pipes at 418 304th Street, Kimberley. It's on the main drag in Marysville. They selected POS-n-go to handle transactions, discounts, taxes, customer accounts, inventory control, employee time tracking, gift cards and end of month accounting. Wes said, "The POS-n-go setup was easy and only took a couple of hours to enter 25 categories and 235 products." Papa's Pipes is also integrated with @PivotalPayments making for fast and accurate payment transactions with no keying errors. Their shop carries a wide selection of glass pipes - water, oil rigs and flat pipes. They also have vaporisers, rolling papers, grinders, scales, pollen presses and five varieties of cannabis seeds. Check out their Facebook page (https://www.facebook.com/Papaspipes/), or call 250 427-2062 for more information.